You will find exciting monogramming ideas, embroidery trends, custom printed t-shirts, rhinestone apparel, ways to dress up your life with vinyl art, and great gift ideas. Summer is the season for family reunions. While some dread the thought of it and others can’t wait to get the fun started, almost everyone walks away with great memories and a closer connection to family. 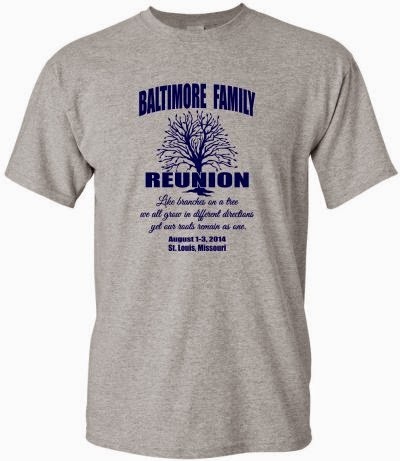 Since a reunion is all about connecting and creating memories, a perfect addition to the event is a custom screen printed T-shirt. Years later a simple family reunion T-shirt will remind everyone of the fun they had, and the loved ones they now miss. To keep the price of the garment reasonably priced so everyone can afford to purchase one, it is best to keep the number of ink colors per print, and the number of print locations to a minimum. One or two colors per print location is a good rule of thumb. If possible, restrict the garment to a one sided print such as a full front location, or a full back location. Dark colored shirts with a bright colored inks cost more than a light colored shirt with a dark colored ink. A fun idea is to mix up the shirt colors so that each family attending has a different shirt color so it is easy to determine which clan a family member belongs to. 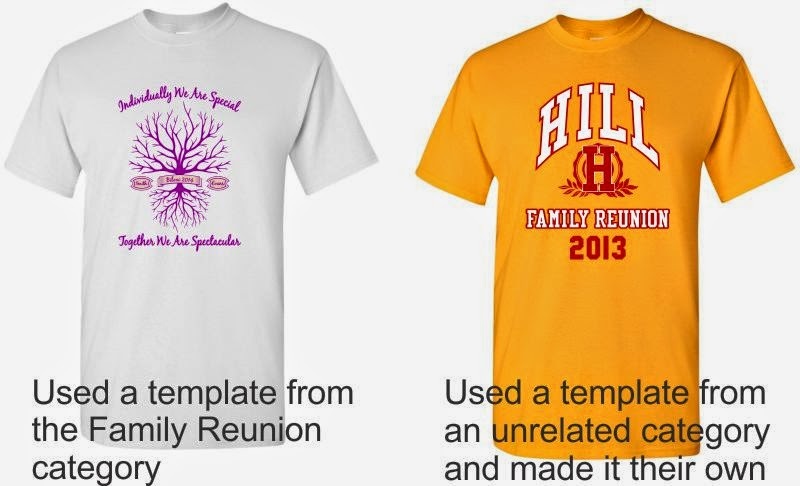 For families that have reunions on a regular basis you might change the shirt color from year to year. This way the shirt color will remind you of a specific year. 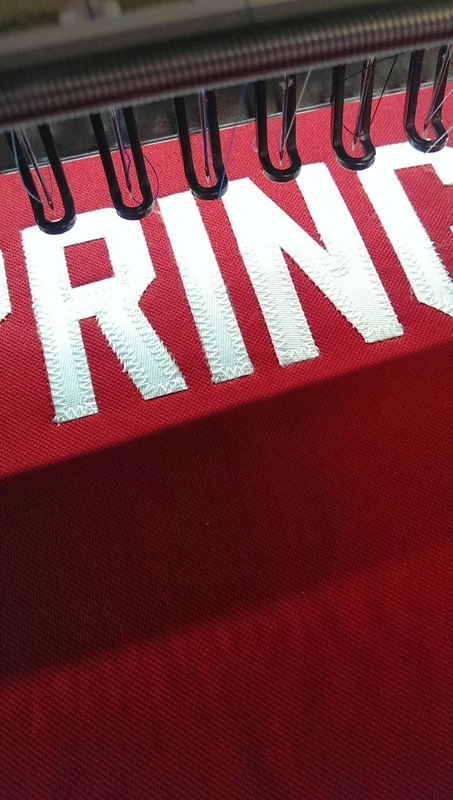 An alternative to custom printed T-shirts is a printed stadium blanket. 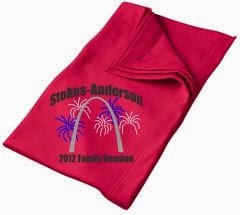 These heavy fleece stadium blankets make a wonderful keepsake while being extremely functional both during and after the reunion. There are two ways to develop your t-shirt design. The first and more traditional method is to setup an appointment to speak with one of our artist who will listen to your design ideas and then email you an art proposal for your review. The appointment is 100% FREE. Do you have a creative person in the family? 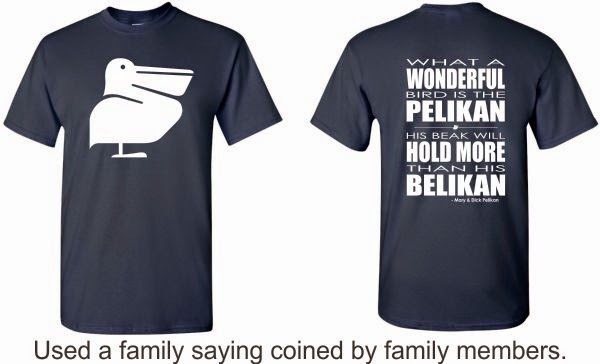 They might create a shirt design that pulls in a family joke or imagery that only a family member would understand.Don't worry if the initial drawing is not to your liking. Our artist will clean it up and make it look just the way you like it. Another option is to use our online T-shirt designer to create something on your own. Look in the Designs > Events & Parties > Family Reunion Designs sections for already developed layouts that you may customize. You may also select from any number of our design templates. Start with a design that isn't a family reunion theme and modify it to suit your taste.It's easy and fun. The traditional way of taking orders is by phone, email or an order form. An order form is one of the best ways to keep the orders organized because when people provide a form with their payment attached you will be well on your way to an organized t-shirt purchase. All you have to do now is insist payment is provided when they turn in their forms, and remain firm when asked to accept orders past the cut off date. Another way to keep orders under control is to allow us to post the shirt on our shopping cart instead of using a form that must be turned in. You simply direct your family to the web link we provide and we'll take care of the rest. All orders are completed online allowing your family members the flexibility to purchase on their schedule, from around the country and from their computer or smart phone. Payment is taken by our shopping cart releasing you of the hassle of collecting funds and hunting down those who are slow to pay. Oh, and on the cut off day the T-shirt disappears from the shopping cart and you won't have to explain why you are not able to take more orders. It's simple, flexible and most of all effective. This allows you more time to enjoy the reunion. If your family has plans for a family reunion consider adding a custom printed keepsake. Give us a call at 314-991-0707 and we will do everything possible to make your event a huge success. Is it beach towel weather yet? With temperatures still in the 50s here in the Midwest the beach is not on the top of our minds, unless you have a trip to Florida in your near future. That must be the case for Parrish and Will. I am jealous! The children's mom came in today with beach towels she had picked up at a local department store. Her idea was to give her children monogrammed towels for the beach and pool. What a fantastic idea! The children will feel so special when they receive their personalized towels and they will be easy to distinguish who they belong to. Let's face it, as parents we often find our children's towels in the back of another parent's car or in the pool's lost and found. 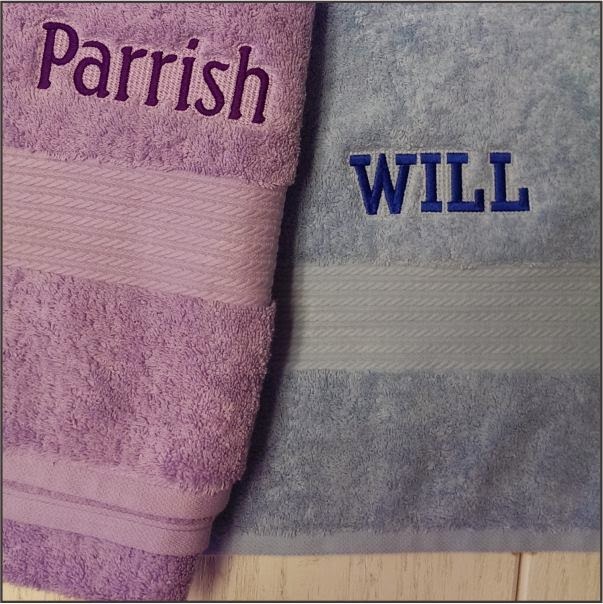 Having your own towels monogrammed only takes a few days and it isn't as expensive as you would think. Especially when you think of how long the towels will be used and held on to because they have been personalized. Call 314-991-0707 to learn about our current prices on monogramming. You might recall your grandmother keeping treats around the house in candy dishes. These glass dishes full of treats were for special visitors and special rewards. Candy dishes are still a fun way to add color to a room, or accent a coffee table. With today's casual lifestyle you can create your own candy dishes from glass containers you may already have, or ones you pick up from the dollar store. Using press on vinyl it's really easy to create a candy dish with a holiday theme. It is also easy to add your monogram and let the color of the candy provide the holiday color. We can assist you with this inexpensive accent technique by providing either the vinyl stickers, the glassware, or both. We have stock vinyl shapes in various colors and monograms in different fonts and colors. You might want something custom made and we can take care of that too. Personalized candy dishes are an easy way to show that you have flare and they don't require very much effort or money. Next time you want to dress up a piece of glassware give us a call at 314-991-0707. The original concept of Tackle Twill came from a sewing technique called Applique. Applique originated from sewing patches of fabric over holes in a garment to extend its life. This was especially true when patches were sewn over the hole in the elbow of a gentleman's jacket. Applique is also widely used to incorporate different colors, patterns and texture to a quilt. Quilters have long been masters at the art of applique. Tackle Twill was invented by R.J. Liebe, a company in my home town of St. Louis Missouri. Back in the 1920's R.J. Liebe created a PolyPro Twill used for names and numbers applied with a Singer sewing machine the same way applique swatches are applied to a quilt. These PolyPro Twill letters were first used on professional football jerseys and later to the baseball uniforms of the St. Louis Browns and the St. Louis Cardinals. Eventually nearly all teams and sports began to use Tackle Twill names and numbers. What is distinguishable to Tackle Twill is the light zig zag style stitching along the edge of the fabric tacking it to the garment. Years later heat applied vinyl was invented as a more economical solution for applying names and numbers to jerseys especially among little league and high school teams. Vinyl lettering is also used for low to medium priced fan wear because the expense of applying vinyl is a fraction of the cost to produce tackle twill. Due to a lower demand for Tackle Twill fewer embroidery companies are capable of providing tackle twill. Still, there is a market for Tackle Twill letters. They signify a higher end garment, mainly because Tackle Twill is more durable than heat applied vinyl, but also because Tackle Twill is what the pro teams wear. 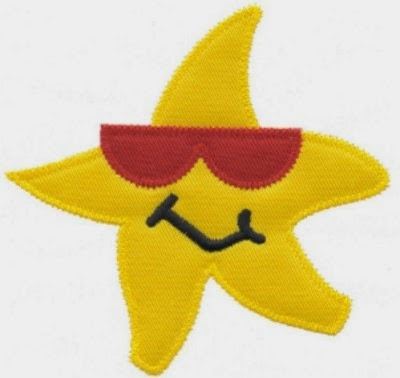 The same techniques used for producing Tackle Twill are used for creating Applique designs such as this Starfish. Being able to produce custom Tackle Twill and Applique is a matter having the know-how to design for these two techniques, the equipment to precisely cut fabric and lastly the embroidery machine to successfully stitch the fabric according to the digital embroidery pattern. If you need a quality applique design created call us at 314-991-0707. With New York Fashion Week coming to an end, it’s safe to say that I’ve been thinking about what trends I need to be shopping for this spring. Since I don’t plan on walking the runway anytime soon, I thought of some ways to easily incorporate four of spring’s biggest trends into my everyday apparel. are plenty of ways to incorporate this trend into your everyday apparel. 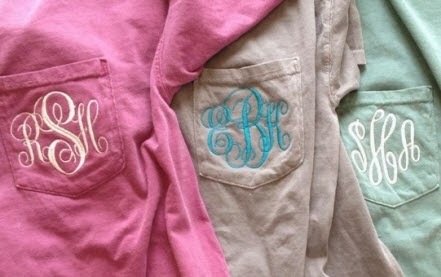 My favorite garment for spring are Comfort Colors pocket T-shirts. They are so comfortable and come in plenty of great colors. While I wouldn’t consider them to be true pastels, they still offer plenty of colorful yet washed out shades. I promise, you can’t go wrong with this garment! Extra Tip: Choose a design that uses pastel colors or a lot of white and it will be sure to add that extra bit of bright spring pop to your look. It’s spring, time to finally show some skin. Let me tell you, nothing tops these great athletic shorts made by Boxercraft. Constructed of 100% polyester they feature an inside tie cord, hidden key pocket and built in support briefs. If you get them in a neutral color they can go with practically anything. Want to step it up a notch? Add a monogram! It’s an easy way to take them from “athletic shorts” to “everyday shorts”. 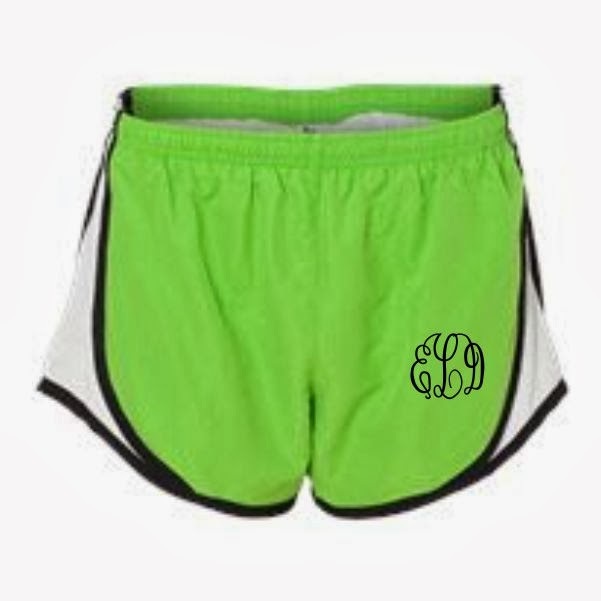 They come in a large range of colors and will be a great addition to your spring wardrobe. Grey is a great color choice for spring. It is brighter than black, but not as much of a summer look as white. It is also sure to make a statement, whether used with a custom screen print, embroidery thread color, applique (better known as block letters for Greeks), or for the garment itself. This Bella Flowy T-shirt is made to be comfortable and fashionable. Its relaxed fit has drop sleeve design making it a perfect tee for casual wear. 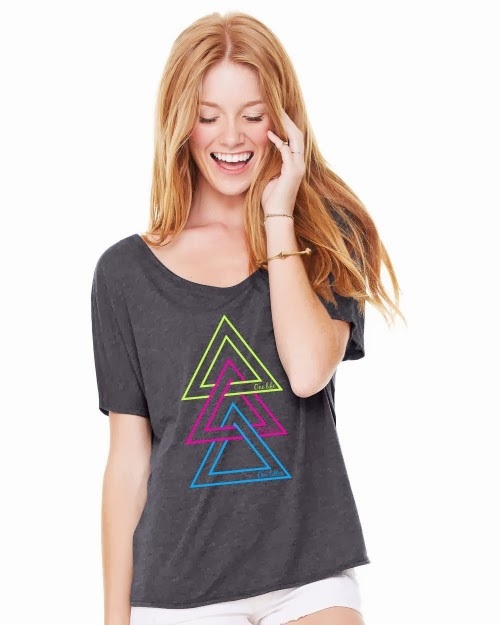 Shown here with a Delta Delta Delta design. Let us customize your T-shirt order for you making grey your neutral color for spring. You won’t be disappointed. I know we are all looking forward to the flowers blooming this spring, so why not create some blooms of your own? The perfect way to add some floral into your looks are through your designs. If you are looking to create a t-shirt using appliques or Greek block letters, add a Lily Pulitzer or Vera Bradley inspired print to the mix. You could do the same for a screen printed T-shirt. In this example we custom cut the two color Greek Block letters that were then stitched to the T-shirt. Just think how cute your spring break or spring bid day shirts could be with some blooms! 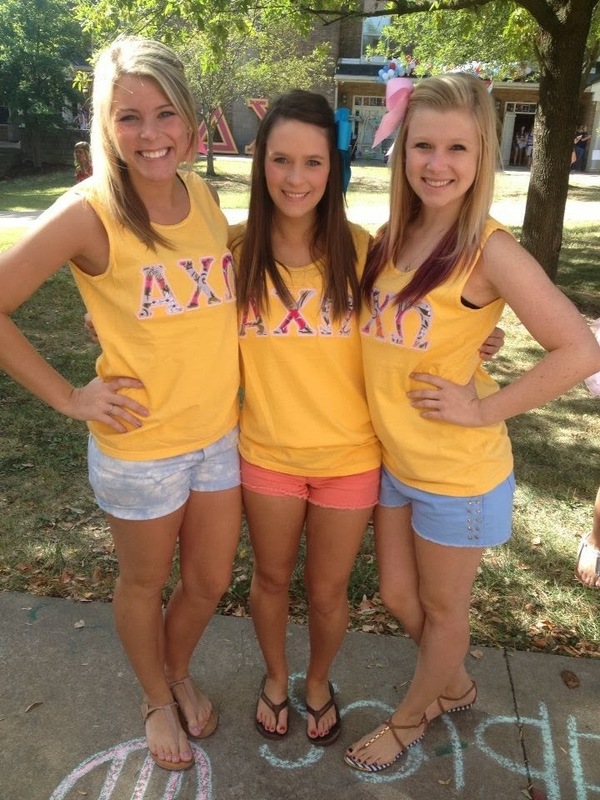 To the right is a Comfort Colors tank in Citrus color. The Greek Block letters compliment the shirt perfectly. 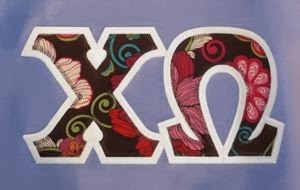 These were a huge hit with Alpha Chi Omega and could be customized for your sorority letters. What ever event you’re planning this spring, choosing a product and design that is on trend will really make the difference and will make everyone happy! We are professionals at making our clients happy with custom apparel in touch with today's trends. We would love to help you create the perfect spring product today. Every design department strives to come up with the next big thing. In many ways it is how they justify their existence. Sometimes it's the many little things that make our world special. I know our creations aren't gong to change the way people live their lives, or be the grand idea we can retire at age 30 from. No, they will just make someone feel good about the gift they gave. 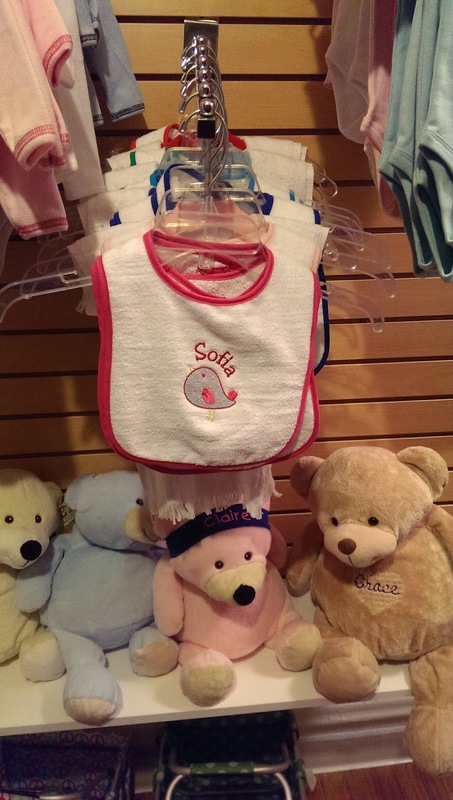 Possibly our embroidery brought a smile to a mother who has had a rough day, and as she feeds her newborn, our creation helped accent her unforgettable moment. 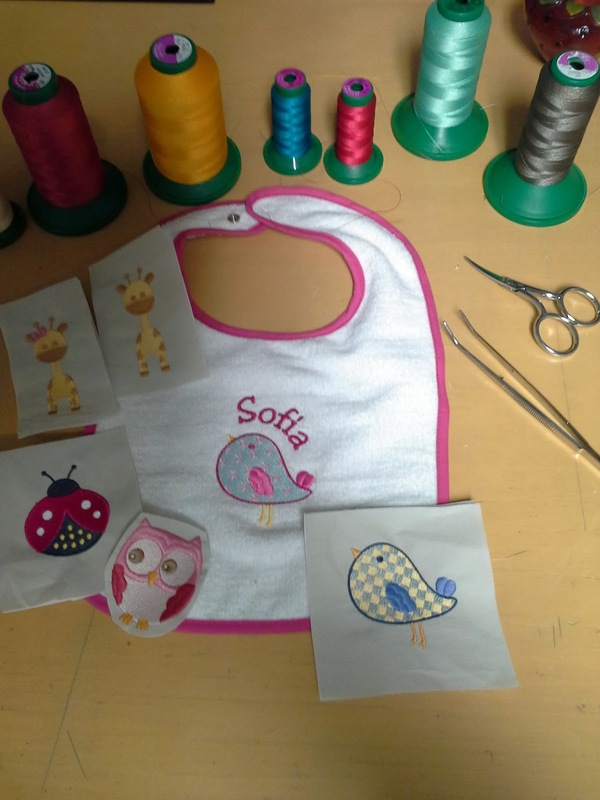 As embroidery designers we work from an assortment of resources that range from the target garment, which is most often determined by a target demographic. The products textile plays a large role, and of course color is always a guiding factor. Design trends play a role too, along with color trends. In the end our work will be displayed on a store shelf, or on our company web-store that has been groomed with hundreds of lines of code, worked over by SEO process all in hopes that someone will see our work and feel moved enough to take it home. The creation part is the second best part about working at Strawberry Stitch Co. Watching a person's face light up when they first set their eyes on their completed purchase, that's the Berry Best part. Witnessing that moment is what drives our creativity and is on our minds as we ponder our next creation. The followup stories are great too, such as when you're told that something you made became a child's favorite item for life. To see new products as soon as they are released follow us on Facebook. Thomas Moore is the president of Strawberry Stitch Co., a Master Embroidery Designer and the author of the books "Digitizing 101" and "Digitizing 201". Thomas is also the Director of the Embroidery Design School, and a certified CorelDRAW and Wilcom design instructor. Thomas is a highly sought after lecturer, writer and industry consultant for the decorated apparel industry. He spends most of his time managing the day to day operation of Strawberry Stitch Co.